Acupressure Sandal Lite No (6) is a light weight Footwear, based on Acupressure and Magnetic Treatment Therapy with foot Reflexology. Acupressure Sandal consist of Pressure Points and Magnets for better results. Acupressure Sandal Improves blood circulation, for beauty & health. Natural way of massaging the internal organs, which relives tiredness of the feet. useful for knee pain, back pain. 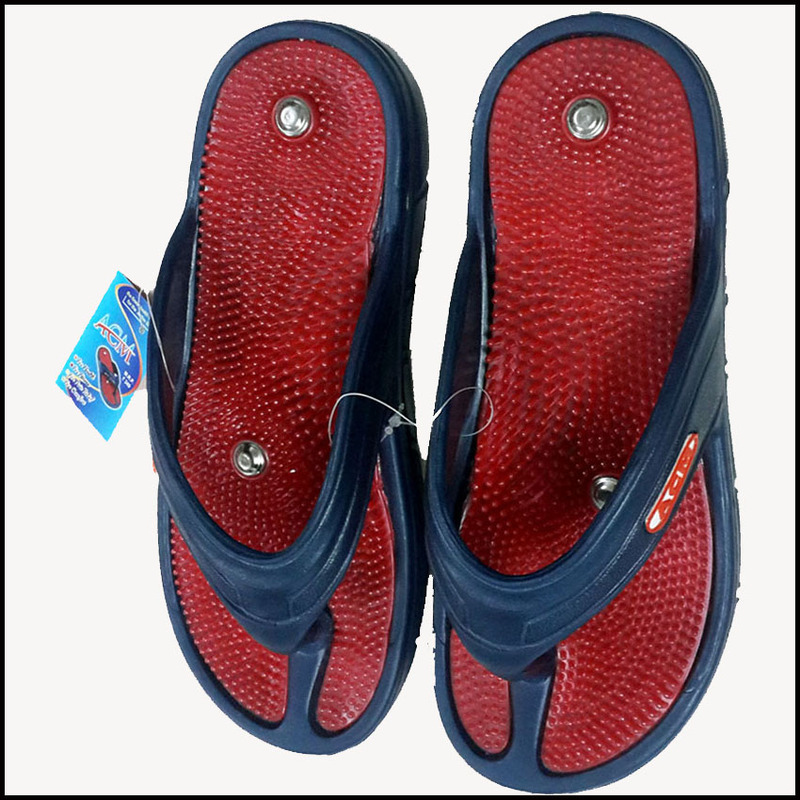 Acupressure Sandal is Available in Various colour to match with your dress. Size No. : 4,5,6,7,8,9,10. एक्यूप्रेशर सैंडल पहनने से पांव में स्थित एक्यूप्रेशर बिन्दुओ पर प्रेशर होता है जिसके फलस्वरूप शरीर स्वस्थ व सुन्दर बना रहता है इसको पहनने से प्रेशर एडी दर्द ,घुटना दर्द तथा पिंडलियों का दर्द ढीक होता है !